Trucks, forklifts, vehicles or heavy machinery are present. Poor visibility and low light conditions pose an additional safety risk to workers. Employees need to see each other to work and communicate effectively. Extreme temperatures and fire hazards may pose additional risks that require specialized apparel. In addition to our standard products, D.E. 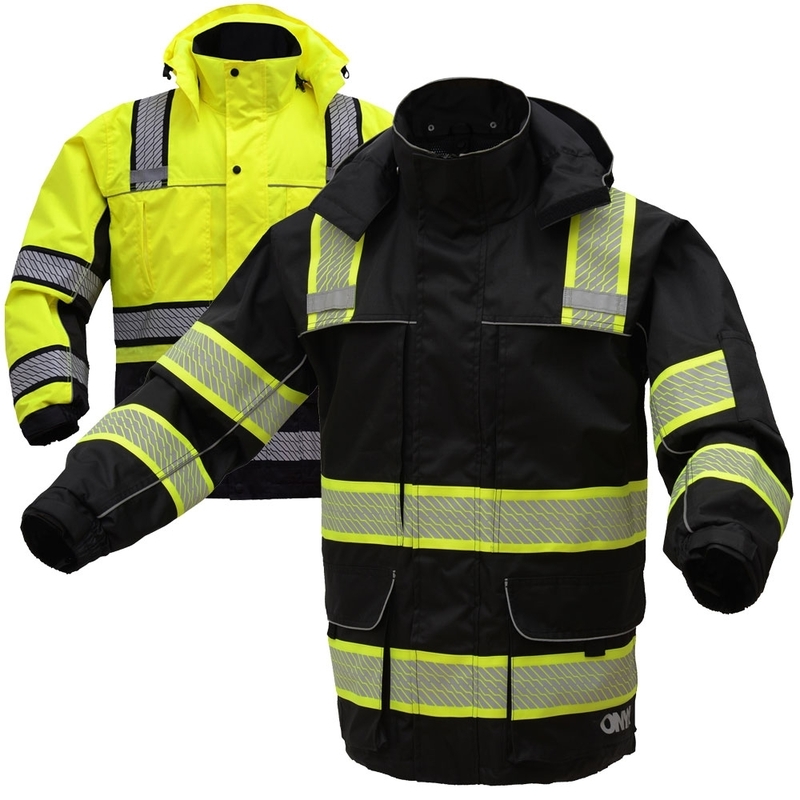 Gemmill Inc. also stocks high-visibility jackets that are insulated and fire-resistant for extra protection. Explore our current inventory using the links below. Individual product pages have detailed specifications and sizing information. You can also contact a representative directly for assistance. Buying anything online will always involve some degree of risk. When it’s safety apparel or related equipment, that risk is compounded by the fact that choosing the wrong product for the task can have significant consequences. For this reason alone, it’s always best to educate yourself before making any purchase. ANSI, Class 1: This clothing features a minimal amount of reflective material. Class 1 jackets are suitable for use in low-risk environments such as those where there is a considerable separation between workers and moving vehicles or in off-road sites with slow-moving traffic. ANSI, Class 2: These jackets have more reflective material, making them suitable for use in more dangerous environments. Workers typically wear Class 2 safety jackets in temporary traffic zones and other areas where they are exposed to right-of-way traffic. ANSI, Class 3: These offer the most reflectivity in low-light conditions and the best definition of the human form. They are a safe choice for use in jobs where traffic moving faster than 50 mph is present, such as highway construction, utility work and more. A safety jacket’s ANSI rating is important, but it’s not the only consideration. A jacket should be warm and durable while remaining comfortable enough to permit workers to do their job effectively. Removable liners, oversized pockets and waterproofing are useful features too. Additionally, a jacket should be sized properly to fit snugly without restricting the wearer’s movement. Why Buy Safety Jackets From D.E. Gemmill Inc.? D.E. Gemmill Inc. has been selling safety jackets and high-visibility clothing for a number of years. We are a recognized expert in this field. Through partnerships with manufacturers whose quality we trust, we maintain an extensive inventory of products ready to ship to your location. Our online store features some of our bestselling items — and we can also accommodate custom orders if you can’t find what you’re looking for on our website. If you’re looking to buy safety jackets in the Central PA area, stop by our retail store in York, PA. We maintain a local showroom where you can try on any item before you buy and ask questions of our expert staff. We look forward to serving you!